What to look for in a cycling backpack? Whether you are commuting or mountain biking, every cyclist needs a way to store their gear without slowing them down. If your current bag is just not up to the task, a dedicated cycling backpack may be the solution for you. A light, comfortable pack which suits your needs will help you to carry your everyday items on the go. No cyclist wants a bulky bag which is awkward to wear and difficult to access so you will be glad to know that there are numerous backpacks on the market in 2019 which cater to bike owners. But where to start your search for the best cycling backpack? Our useful reviews and buyers guide will help you to decide which features suit your needs best. Related: Best Road Cycling Shoes. 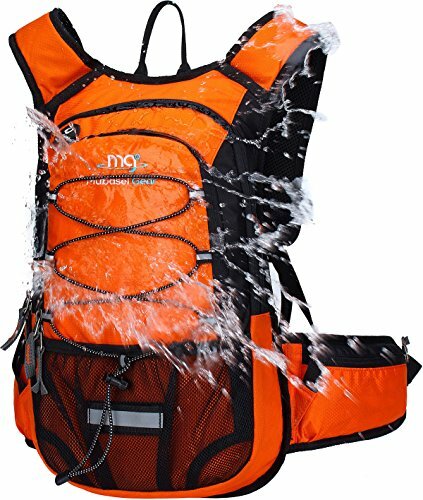 Made of high-quality, water-resistant material, the Mubasel Gear Insulated Hydration Backpack is a lightweight and useful piece of equipment. The included 70-ounce BPA free hydration bladder is a great way to stay hydrated on the go and will not leak. Plus, it’s insulated so your water will stay cool. + Lightweight and water-resistant material. 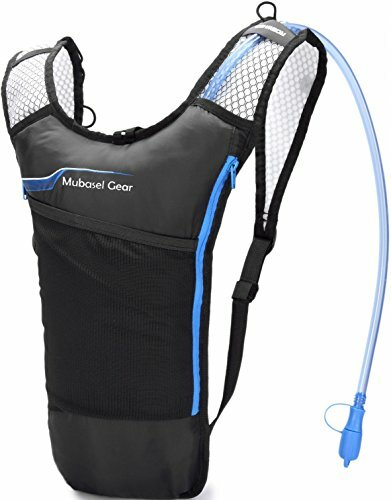 + 70-ounce BPA free hydration bladder. + Ventilated padding for comfort. + Impressive range of colors available. Why we like it – The hydration compartment holds an impressive volume of 70 ounces and is both BPA-free and FDA-approved, making it a great tool to maintain all-important hydration levels on bike rides. 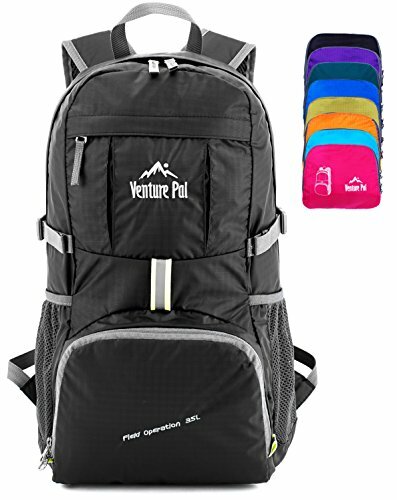 The Venture Pal Lightweight Packable Durable Backpack is built for both comfort and robustness. It is composed of durable tear and water-resistant material, allowing you to carry more on the go. Bar-tacks at stress points and a super durable bottom piece provide further reinforcement. In addition to a 35-liter main compartment, this backpack offers a multitude of extra compartments. Padded mesh shoulder pads and adjustable shoulder straps are just some of the features added for comfort. Another handy benefit is that this backpack folds into its own pocket and can be unfolded again quickly. + Folds into a pocket. Why we like it – This Venture Pal backpack is compact and folds into a small pocket, making it easy to use and portable. It is built with tough material for impressive longevity. 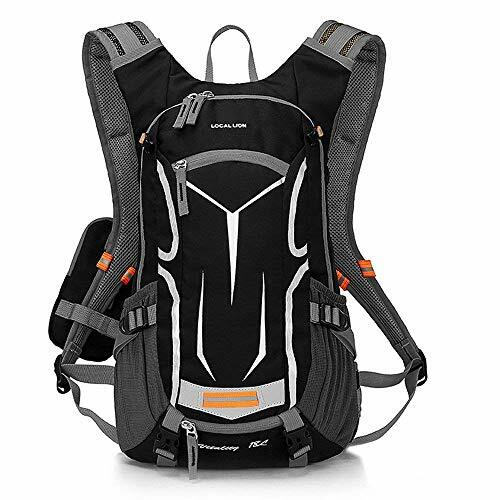 This TETON Sports Oasis 1100 Hydration Pack is a great option to keep you hydrating on long cycle rides. The BPA-free 2-liter hydration bladder is durable, easy to drink from and simple to clean. Regardless of your size, you can customize the fit of this product for you, while ergonomic shoulder straps ensure comfort. This bag is clearly able to handle long trips. It is made from durable material, has plenty of space and flaunts safety features including a whistle and anti-shock strap. Many of the benefits of this product can be found more often on higher-end backpacks. + Adjustable fit for any frame. + Ergonomic properties for long-term comfort. + Great for hiking, outdoor pursuits and cycling. Why we like it – This TETON Sports Oasis 1100 Hydration Pack benefits from features you might expect to see on a higher-end product. The custom fit and emphasis on safety and security are great. With its minimalist design and myriad of useful features, this Såk Gear BackSåk Waterproof Backpack is an outstanding product. Heavy-duty PVC offers rugged protection from the elements, keeping your belongings safe and dry, while a separate pocket on the front provides quick access to some items. Back padding, a sternum clip, and adjustable cushioned straps make this a comfortable bag to wear on long journeys. The inventive Swedish design offers two ways to close the bag, with the option of creating an additional top handle with the clips. This backpack comes in a variety of colors and two sizes. + Sleek and minimalistic design. + Two size options: 35 liter or 25 liter. + Durable, waterproof 500-denier PVC with roll-down top. + Multiple easy ways to close. Why we like it – The great design of this backpack provides more than just a sleek appearance. The heavy-duty material is suitable for bad weather conditions, and clever padding makes for a comfortable fit. 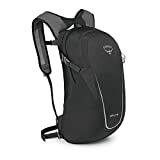 This Osprey Packs Daylite Plus Daypack is a great backpack for both short and long trips. It is designed to attach to other Osprey packs either as a separate day trip solution or as extra storage. It easily attaches to compatible products. This polyester product has a large, easy-to-reach main compartment plus stretch mesh pockets on the sides and a front panel pocket. This backpack also boasts designated internal pockets for hydration reservoirs and laptops. A foam padding panel covered with mesh on the back gives extra comfort. The Daylite Plus Daypack is available in a range of attractive colors. + Use alone or attach to suitable Osprey products. + Main compartment is easily accessible. + External pockets for extra storage. + Specialized laptop and hydration compartments. + Range of colors on offer. Why we like it – This backpack is a great solution if you require a versatile pack with plenty of innovative storage options, including the option to attach it to larger Osprey storage items. 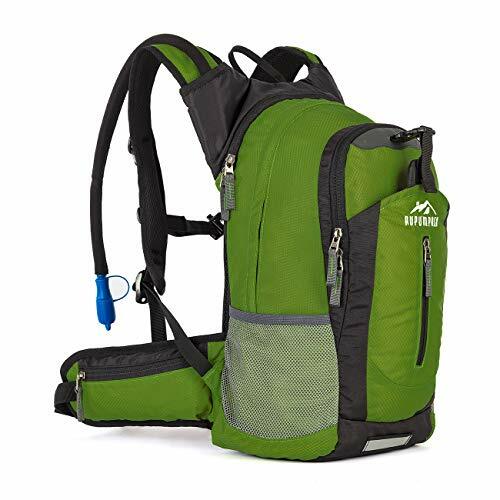 This Hydration Backpack with BPA-free bladder is a fantastic pack which won’t let you go thirsty on long rides. The durable, FDA-approved bladder has a large opening (perfect for adding ice cubes) and is resistant to leaks. Furthermore, it won’t add excessive weight to the already light, compact pack. The product is comfortable to wear thanks to mesh-covered foam padding. With three compartments, there is plenty of room for all your essentials in addition to the hydration reservoir. Available in several colors, and offering a low-profile, streamlined look, this pack also scores highly on appearance. + Hydration pack suitable for ice cubes. + Lightweight yet high quality. Why we like it – This neat backpack is great if you just need to carry a few essentials and don’t want a heavy pack slowing you down. Plus, the handy hydration pack is well-designed. 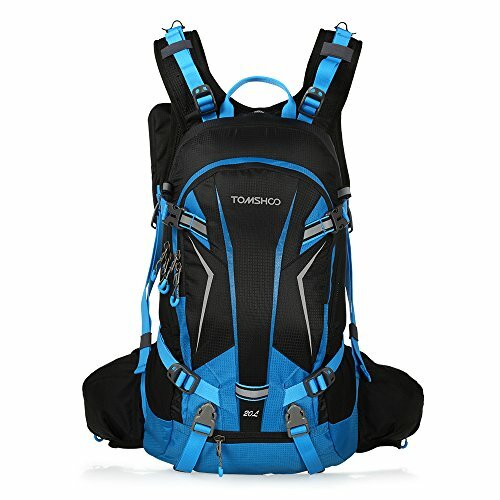 This cycling backpack from TOMSHOO is made of a lightweight nylon material which is durable and waterproof, making this pack suitable for even the rainiest of days. It also features reflective bars which make riding safer at night. With the included full green rain cover and road bike helmet cover, you can protect yourself even further from the elements. At 20 liters, the space provided by this product is ample, even though the pack itself remains light and compact. Features such as a detachable phone pouch and mesh side pockets are great extras. + Extra waterproof covers including a helmet cover. + Comfortable fit, cushioned straps and a breathable back. + Reflective accents for safety at night. Why we like it – This pack is dedicated to keeping you safe and dry, which makes it a great choice for cycling in the rain. It also has lots of handy extra features. The LOCALLION Cycling Backpack is a lightweight option which is built for outdoor activities. With a great ventilation system using padded, breathable mesh and a weight of only 280 grams, the pack is ultra-light. The product includes a channel for a hydration bladder tube (although the bladder is not included). The customizable storage of this bag includes a detachable pocket which fits small items such as your keys or phone. Reflective stripes help you to be seen in the dark so you can cycle safely at night. Also included is an emergency whistle on the supportive chest straps. + Super lightweight and ergonomically designed. + Hidden channel for a hydration bladder. Why we like it – With a great, ergonomic fit and breathable components, this pack is super comfortable to wear and will serve you well on long journeys. The safety features are a useful inclusion. 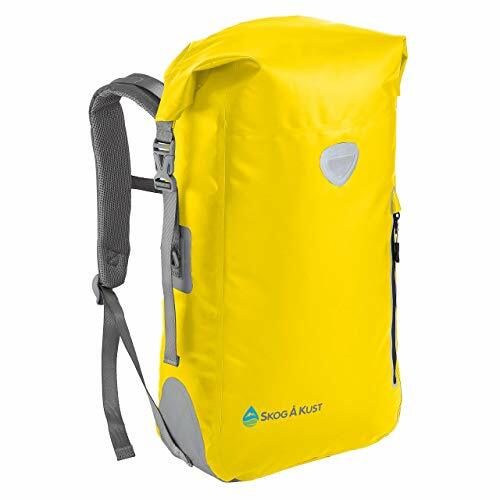 With a generous, insulated 2.5-liter BPA-free hydration pack, this RUPUMPACK product is great for long days out. The hydration pack is made of food-grade, anti-bacterial material and is designed for ease of use with its large opening. Breathable shoulder straps and an alterable chest strap plus a thickly padded ventilated back make this a comfortable pack to wear. It has a unique design, providing an impressive 11 storage compartments including dedicated space for your tablet, mesh pockets on the sides and two extra pockets on the waist straps. Overall, a very practical and versatile piece of equipment. + Generous hydration pack with a range of great characteristics. + Safety reflectors for riding at night. + Ergonomic design for comfort. Why we like it – Even with a huge range of different useful storage compartments, this pack remains light and breathable. The included hydration pack is high quality and well-designed, too. 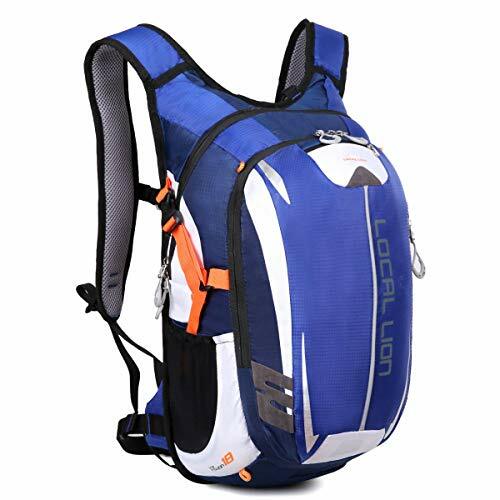 This LOCALLION Cycling Backpack is versatile, being suitable for lots of different outdoor activities. It features a range of extra pockets due to its external storage system, making it easy for you to find small items and keep your gear organized. There is even room for a hydration bladder and tube. The durable, tear-resistant material gives this item impressive longevity. A well-designed air flow system allows for good ventilation and temperature control. Safety features including reflective strips make this a great option for those who like to ride at night. The ergonomic design of this product ensures a comfy fit. + Unique air flow system. + Useful external storage system. + Reflective strips for cycling in the dark. Why we like it – This ergonomic LOCALLION backpack allows you to keep organized with its impressive external storage system. The air flow has also been well thought out, for adequate ventilation. With a cycling backpack, you can keep your hands free while pedaling towards your destination. Unlike some other types of bag, they are secure, comfortable, easy to wear and simple to use. However, there are many factors to bear in mind when deciding on a cycling backpack. Some cyclists may want lots of space for their belongings, while others will have less to carry and just need a lightweight pack which won’t get in their way. Factors such as the weather and the type of cycling you do might also affect your decision. Read on to discover what to look for in a cycling backpack. The size of your cycling pack is important. Those who want a super compact option may go for a style which folds up small and weighs little. After all, bigger isn’t necessarily better if you don’t need the extra room. Others may be keen to ensure that there is enough space for everything they need to carry. Consider what you typically carry with you: do you usually take your laptop with you on your commute? Will you require space for a hydration system? Will an easy-to-access exterior pocket be useful? There are packs which cater to all these needs and more. Multiple pockets can be useful as they allow you to pack more without your bag becoming disorganized. Some packs have dedicated pockets or sections for different items. If you are using your bike to commute to work, a specific tablet or laptop section may be a high priority for you. If you use a cycling water bottle, a mesh side pocket could be a good place to store it. Luckily, there are a variety of sizes and shapes of packages available which cater to different requirements. If you have a long commute or plan on cycling long distances with your backpack, a hydration bladder will make it easier and safer to stay hydrated. No one wants to search awkwardly for their water bottle while on the road, and a long cycle without water could lead to dehydration. Some packs come with a hydration pack included, while others have compartments to store your own and channels for the tube. If you require a hydration system, look for materials which are BPA-free and food-grade for healthy, great-tasting water. An insulated system will keep your water cool for longer. Hydration systems are often included on packs aimed at mountain bikers but can be a useful feature for anyone. If you don’t want a hydration bladder in your pack, they are usually removable. Nobody likes to get caught in the rain, especially with lots of expensive equipment exposed to the elements in a poorly-made bag. A waterproof or water-resistant pack might just save your kit. Some backpacks are made of waterproof material, while others include separate covers. If you live somewhere that sees regular rain, consider a pack which will help you be prepared for showers. If you plan to ride your bike at night, you’ll want to be as visible as possible. Lots of backpacks feature reflective strips or accents, which can help you stay safe when paired with effective bike lights. Several backpacks also feature a safety whistle, usually attached to the chest straps. Comfort is key when it comes to finding your perfect cycling pack. The more items you plan to carry in your backpack, the more padding you will need. This is especially true of the shoulder straps, as your shoulders will bear much of the weight of your belongings. Luckily, most backpacks designed for cyclists will have ample padding around the back and shoulder areas. However, if this padding is not well-ventilated, you could end up feeling sweaty and overheated. Look for padding with breathable mesh, which has ample ventilation and is designed for optimum airflow. Many cycling backpacks feature chest straps. These will help to keep your pack in place and stop it from moving around while you ride. The main thing to look out for here is adjustable straps so you can alter them to fit your frame. If you just require your backpack for one type of cycling, the features you need to look for will be more limited. However, many packs are suitable for different types of cycling, and even other outdoor pursuits such as hiking. The cyclist who just wants to commute to and from work will have different needs to the mountain biker who also likes to go hiking. Keep in mind that there is no single best cycling backpack and that your requirements are likely to be different to someone else’s. While not the most practical of criteria, it is worth finding a pack which suits your style, especially if you are going to wear it every day. 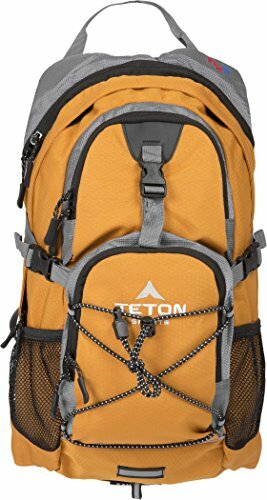 Many packs have a sporty, functional look, while others are sleek and minimalistic. Almost all the backpacks we looked at were offered in a variety of colors. To conclude, there are many different types of cycling backpack on the market in 2019. Backpacks are an easy, accessible way to carry your belongings while cycling, whether you are on the road or the trail. Look for the features that will benefit you most, and you should find your perfect pack in no time.